Tomer Hemed's first hat-trick in English football helped Brighton go second in the Sky Bet Championship with a crushing 5-0 home victory over Fulham on Friday. The Israeli striker scored twice in the first half, once from the penalty spot, while skipper Bruno hit the Seagulls' third goal shortly after the break at the Amex Stadium. Hemed completed his treble 10 minutes from time, with French winger Antony Knockaert completing Albion's biggest win of the season. 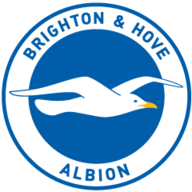 Brighton, now assured of a place in the play-offs with four games remaining, are one point behind leaders Middlesbrough, who they visit on the last day. Albion came through a rocky start with Fulham beginning confidently. Ross McCormack tried his luck in the ninth minute with a low shot, which was held by former Cottagers goalkeeper David Stockdale. Former England midfielder Scott Parker, who scored his first goal in two years in Fulham's 2-1 win against Cardiff, was off target when breaking forward three minutes later. Fulham keeper Marcus Bettinelli was nearly caught out when Israel international Beram Kayal delivered a deep cross to the far post - the stopper seemed slow to react before pushing the ball over the bar. Albion centre-back Connor Goldson came to his side's rescue midway through the half with a clearing header after former Tottenham midfielder Jamie O'Hara sent a teasing cross to the near post. The Seagulls, unbeaten at the Amex since New Year's Day, went ahead on the half-hour mark when Hemed scored his 14th goal of the season thanks to a hotly-disputed penalty. Manchester United loanee James Wilson, restored to the side along with Knockaert, had got the better of defender Richard Stearman and, although there was contact, appeared to go down easily in front of Fulham's 2,000 travelling fans. Hemed stepped up to send keeper Bettinelli the wrong way and four minutes later was on target again to double Albion's lead by superbly heading in a free-kick from Knockaert from 10 yards. 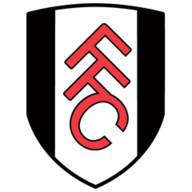 Fulham, yet to keep a clean sheet away from home since head coach Slavisa Jokanovic took over in December, came under further pressure when centre-back Lewis Dunk forced Bettinelli to save, and the keeper later came out bravely to deny the onrushing Wilson. Albion have not lost a Championship game this season after scoring the opening goal and effectively made this match safe nine minutes after the break when skipper Bruno scored his first of the season from close range. Bettinelli was slow to come out when Czech Republic international Jiri Skalak delivered a corner to the far post, and Spaniard Bruno reacted quickly to fire a low left-footed shot into the net. Stockdale kept himself on track for a 16th clean sheet of the season against his former club by palming away a goal-bound effort from substitute Lasse Vigen Christensen midway through the second half. Hemed was initially denied his hat-trick when Wilson cleverly played him in only for Bettinelli to spread himself to make a save with his thigh. Fulham threatened again when midfielder Emerson Hyndman let fly from the edge of the box and Stockdale tipped the ball over the bar. But Hemed would complete his treble 10 minutes from time when he steered the ball home from 10 yards after Dale Stephens fizzed a shot into the area. Winger Knockaert completed the rout three minutes from time by curling in rampant Albion's fifth following a pass by Kayal.